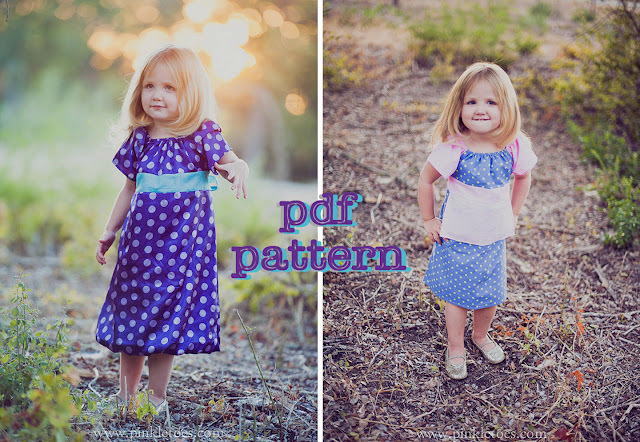 I met the owner of Fun4me2 back in the spring when she debuted the Playdate Dress pattern. She's created a new dress pdf now that I love the looks of: Tie-A-Bow-Around-Me. 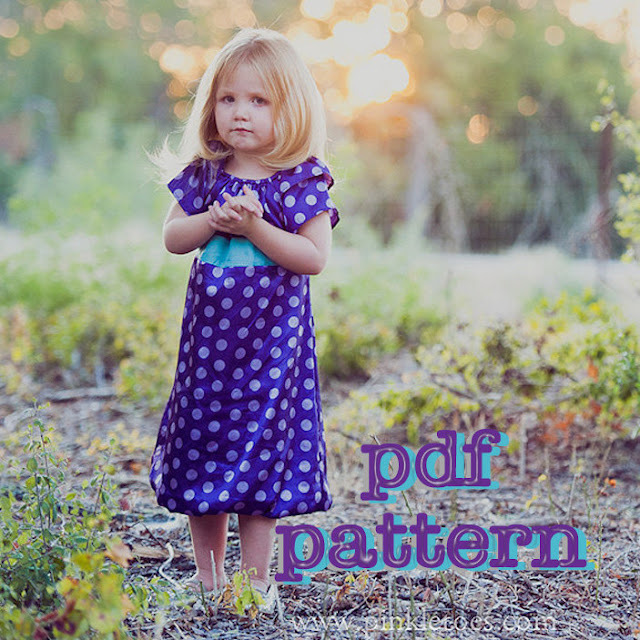 Included are options to make a dress with a bubble skirt or a single-layer skirt, with or without an apron at the front and you can even choose to make a single or a double-layered flutter sleeve. Ties from the sides of the dress can be made into a bow at the back or the front of the dress. Fun4me2 is giving away two copies of the Tie-A-Bow-Around-Me pdf pattern in sizes 6 months to 7 years. The pattern is on sale for the introductory price of $4.50 until October 26th, so if you're not one of the lucky winners this time, you can pick one up in her shop. Two winners will be chosen on September 29th. Giveaway open to anyone anywhere! Cute pattern, I would love to win, thanks! adorable! Hopefully this is the lucky random number comment!!! oh what a cute pattern! Great giveaway! 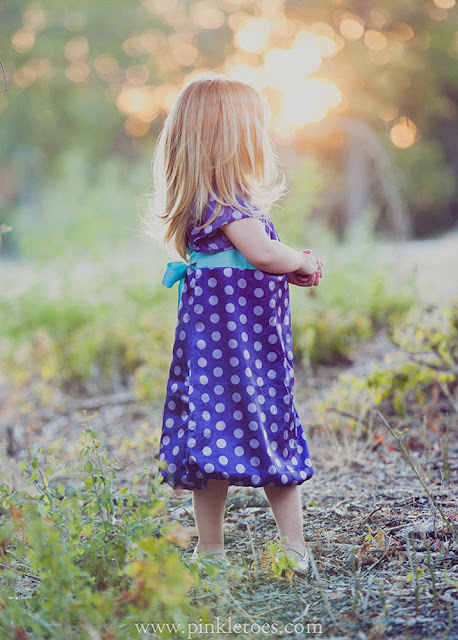 That dress looks sooooo cute! Very cute! Love the sizes too! 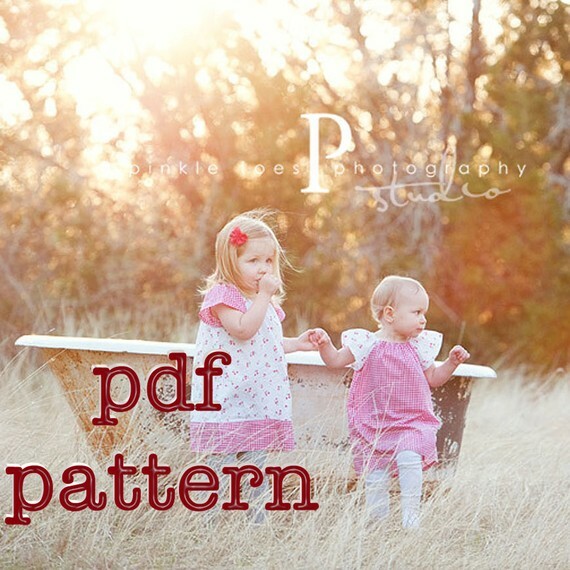 Adorable pattern - could just see on my two girls (3 and 1) in fall colors for our family photo shoot in October. Pick me, pick me!! So very darling! I love the different options! I'd love to win this for my little one. Thanks for the give away. What a super sweet dress... or 'frock' as my Nan would've said. Darling. I love the pattern. I would love to win it. So, so cute! I would love to win this!